Houston Texans fans usually don’t have a lot to be happy about. But each week, Defensive End J.J. Watt gives them a reason to cheer. In addition swatting passes, terrorizing quarterbacks, and catching touchdown passes, Watt is quite adept at trash-talking. 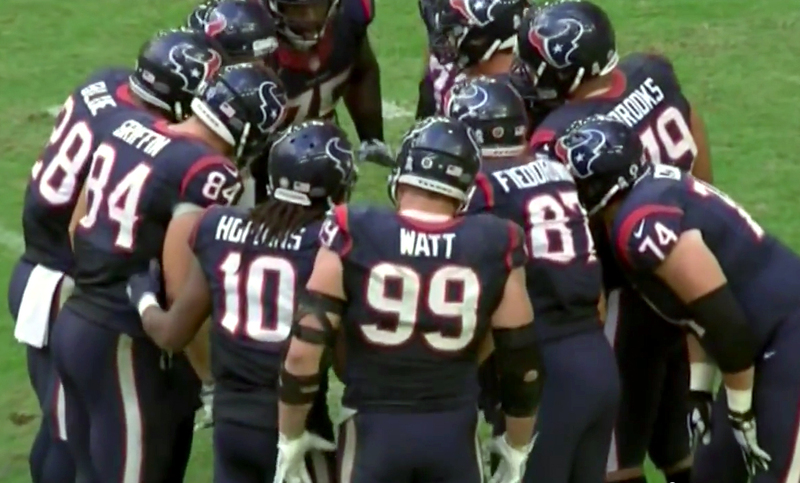 During the Texans’ game against the Titans, Watt wore a mic and his banter was as brilliant as his performance on the field.